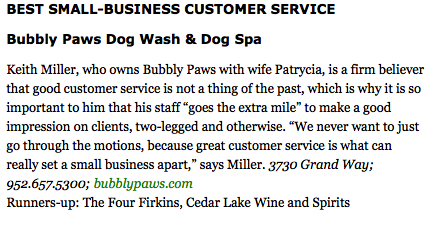 Bubbly Paws Dog Wash and Dog Spa has already picked up 3 "best of" awards in 2013. Our first award came from CityPages for Best Pet Spa! Just recently we won the St Louis Park Magazine readers poll for "Best Dog Groomer and "Best Small Business Customer Service". We were runners up for "Best Pet Store". Thanks to everyone who voted! 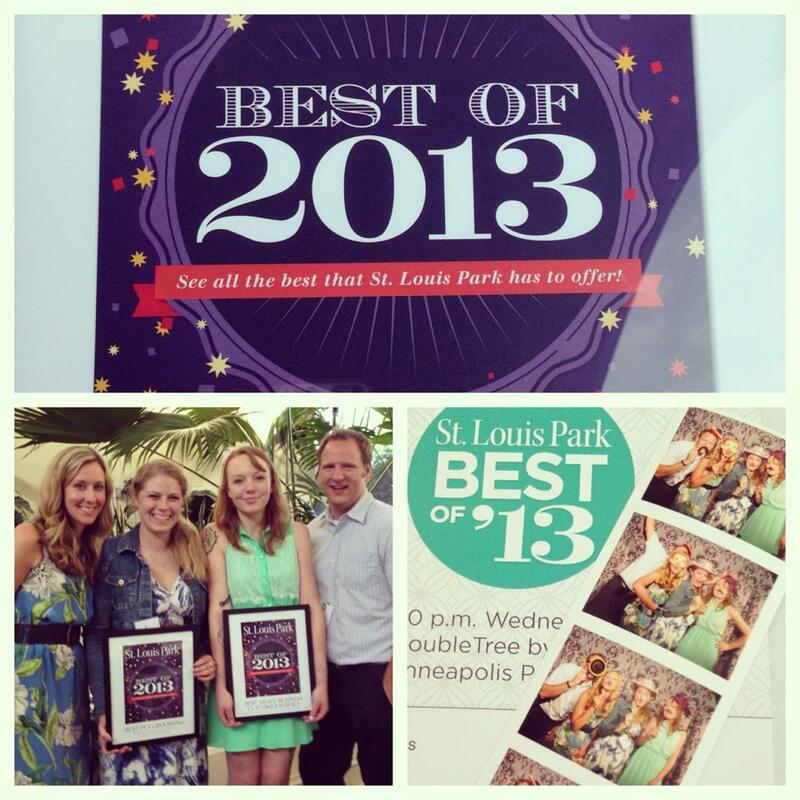 Thanks to all the great readers of CityPages who voted for us for the "Best Pet Spa" in the Best of the Twin Cities 2013. We are so honored to have won! Below you will see the article that ran in City Pages. Click Here for a complete list of other winners.